Scratch 3.0 is out, and I am trying to calm down the haters. Scratch 3.0 is good!!! I am trying to improve in sprite making. I am learning to make things in different languages. 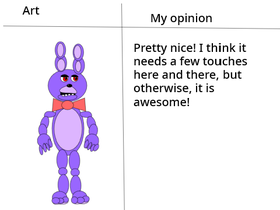 Fnaf games only. Please add them. Add your youtube channel Here! Good creations you found, like the one in the desc. Check out my new game!! !